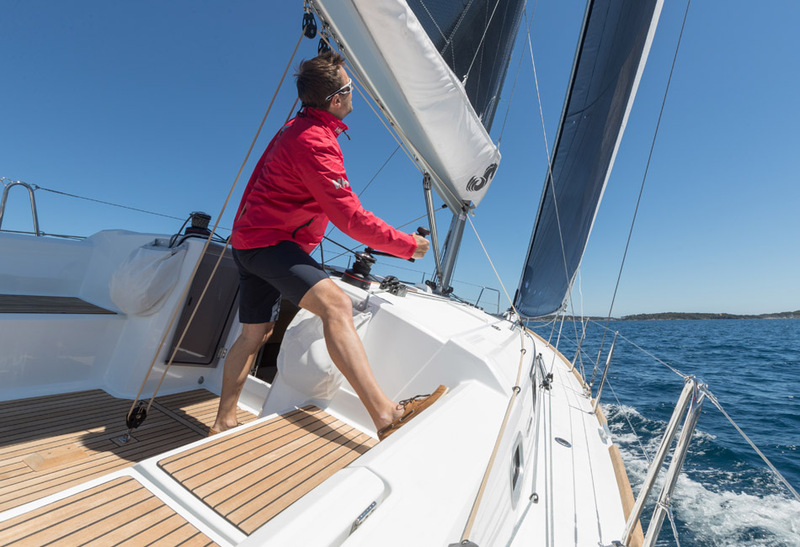 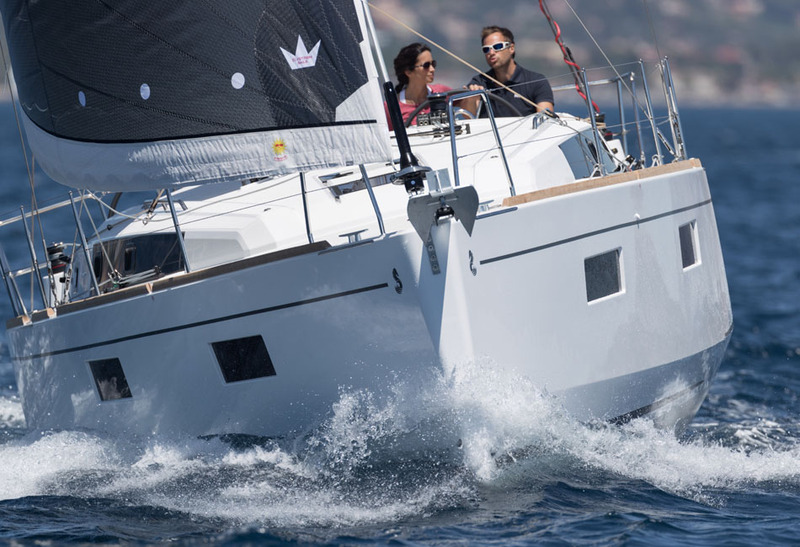 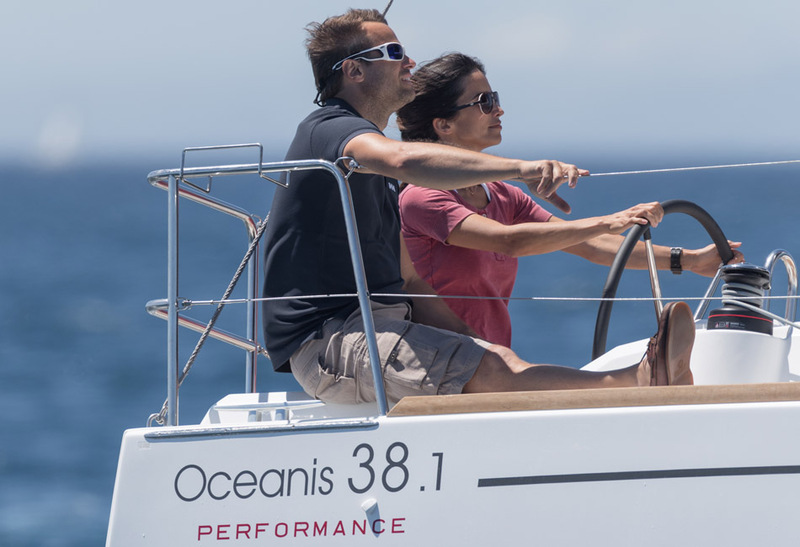 Practical features, exceptional performance, and elegance make the Oceanis 38.1 a truly clever boat. 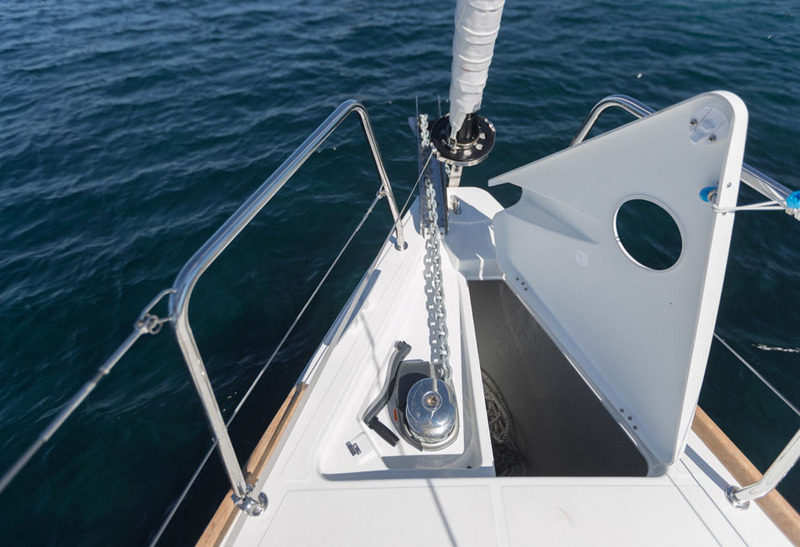 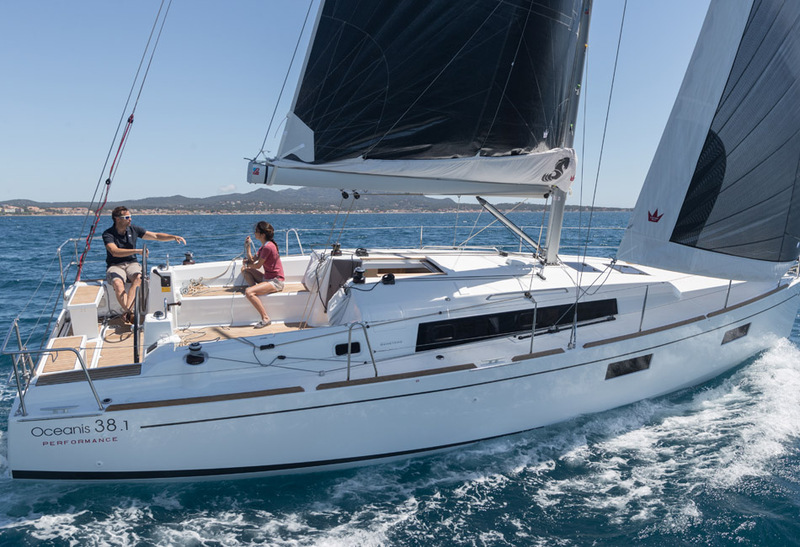 A mainsail arch, two helm stations, and a spacious swim platform make voyages more delightful. 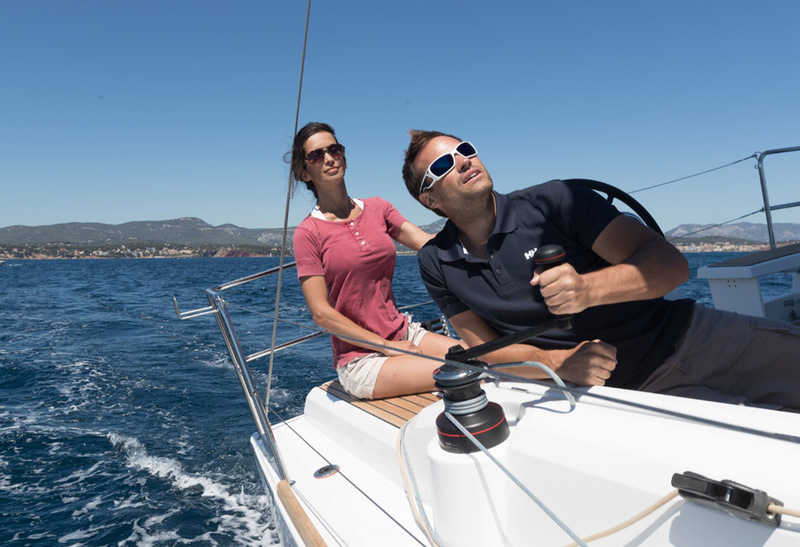 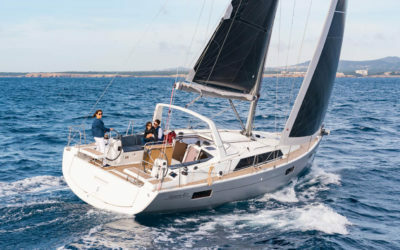 She offers a wide range of choices to suit the unique needs of discerning sailors and their families. 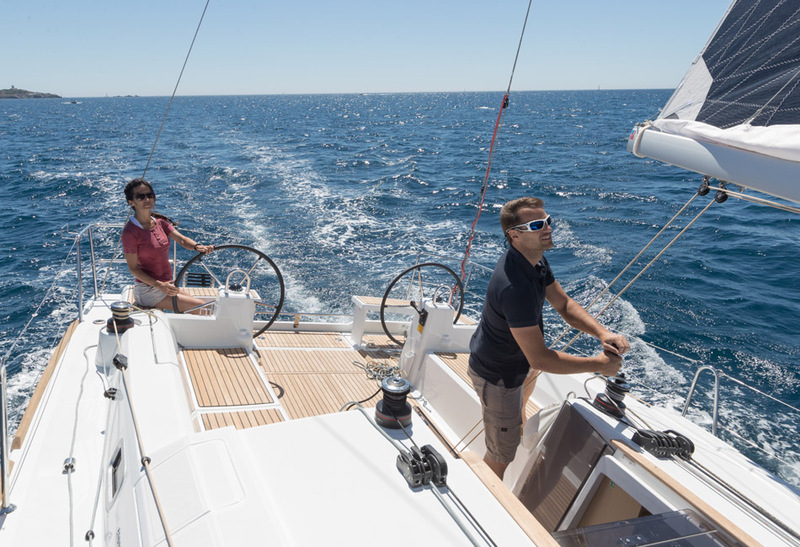 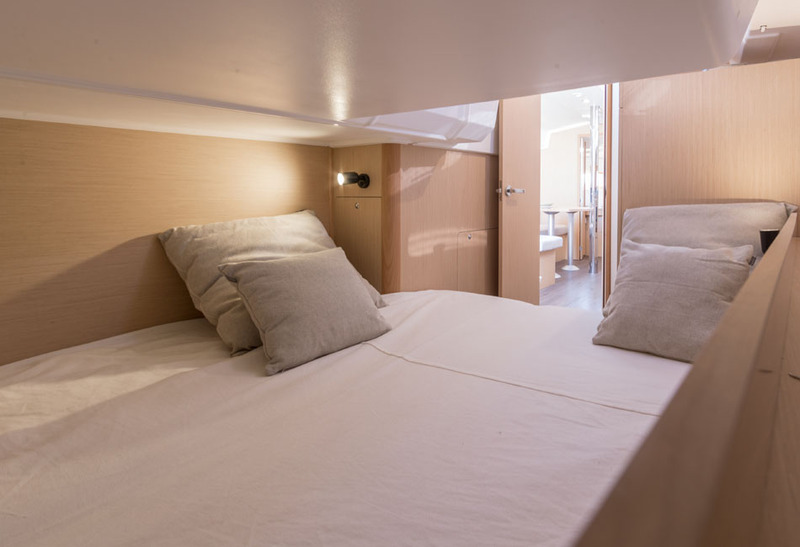 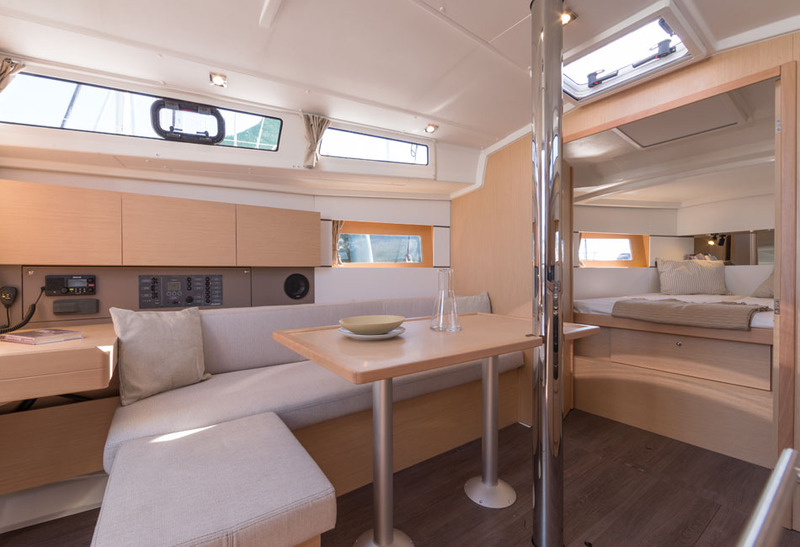 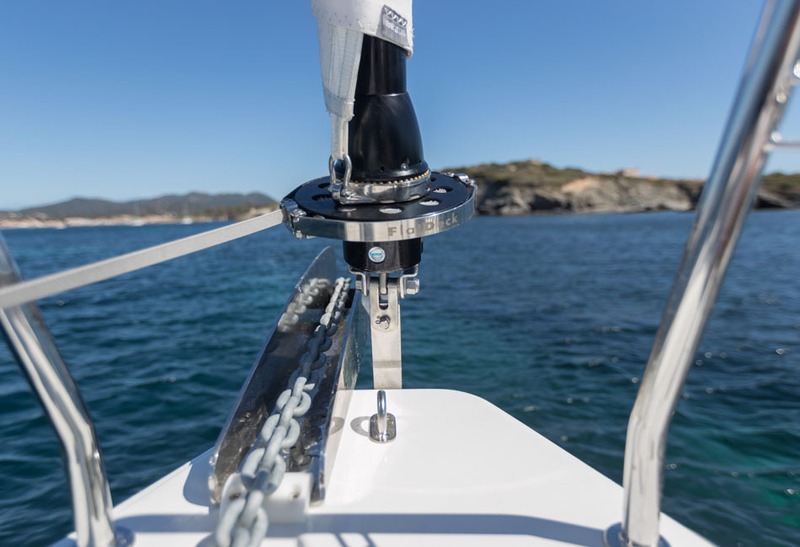 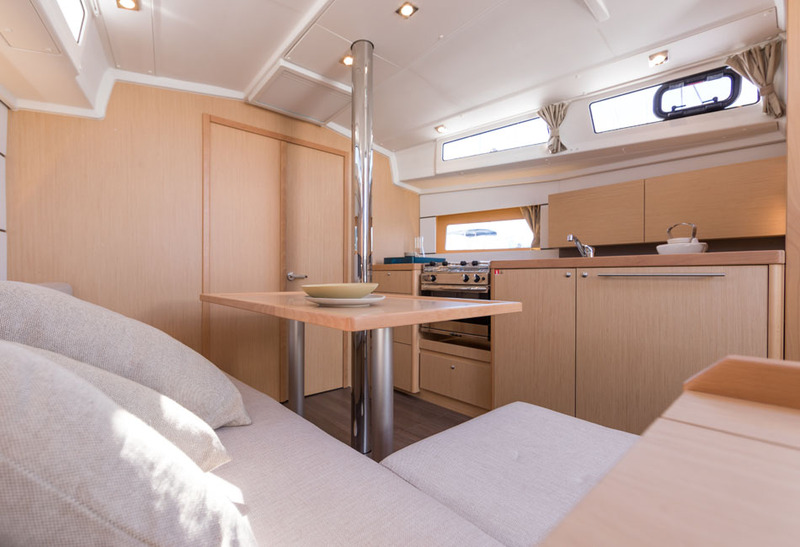 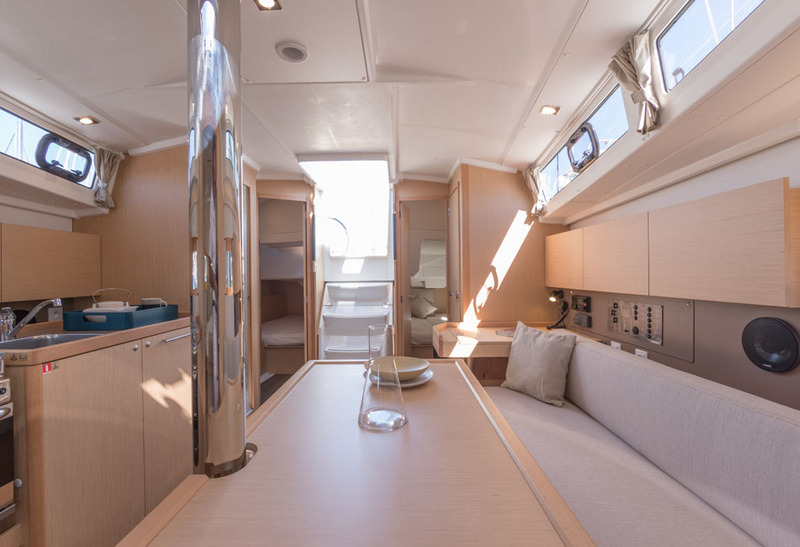 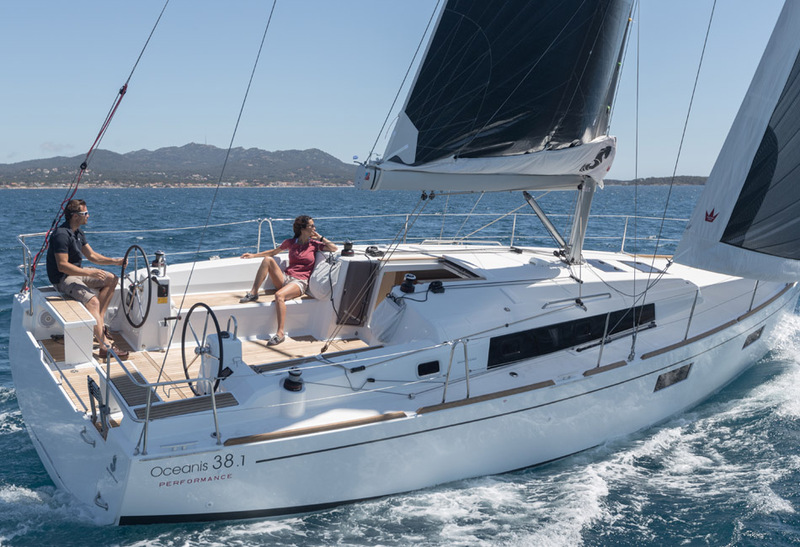 The chined hull of the Oceanis 38.1 offers excellent cruising comfort. 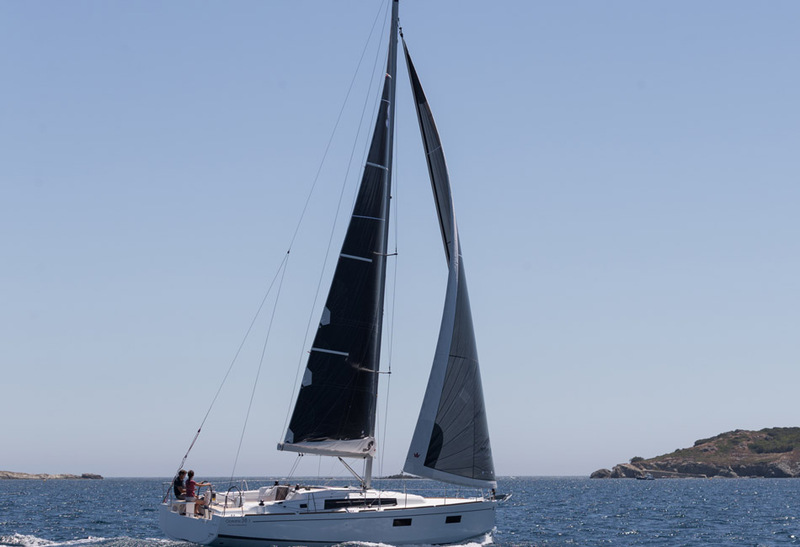 Taut to aft and designed to lie low on water, this cruiser is a joy to take to further distances at sea. 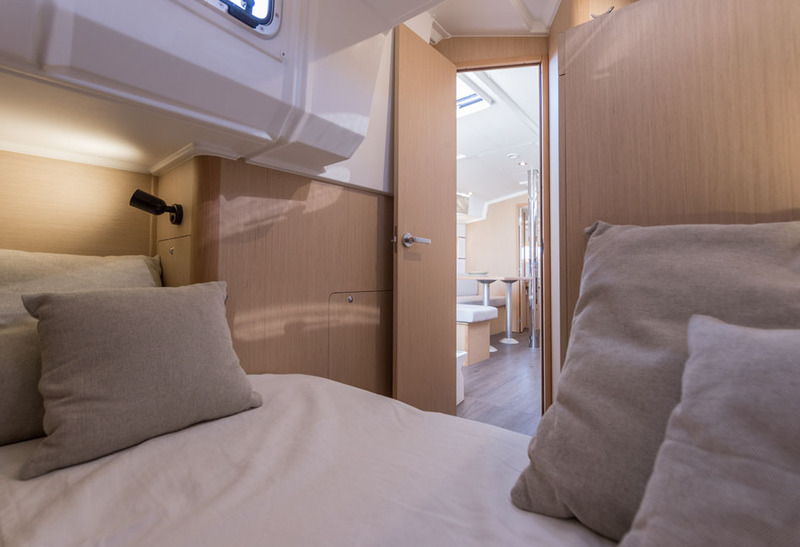 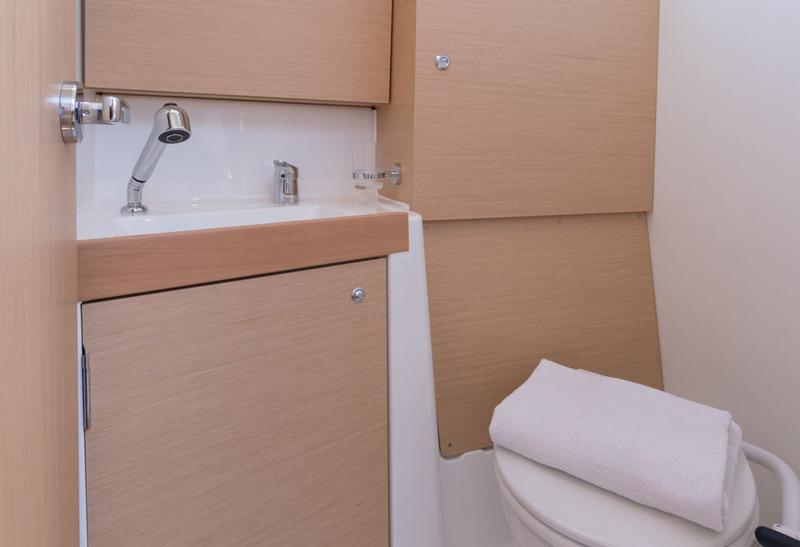 The Italian design team took on the challenge of increasing the living spaces while offering privacy in the owner cabin. 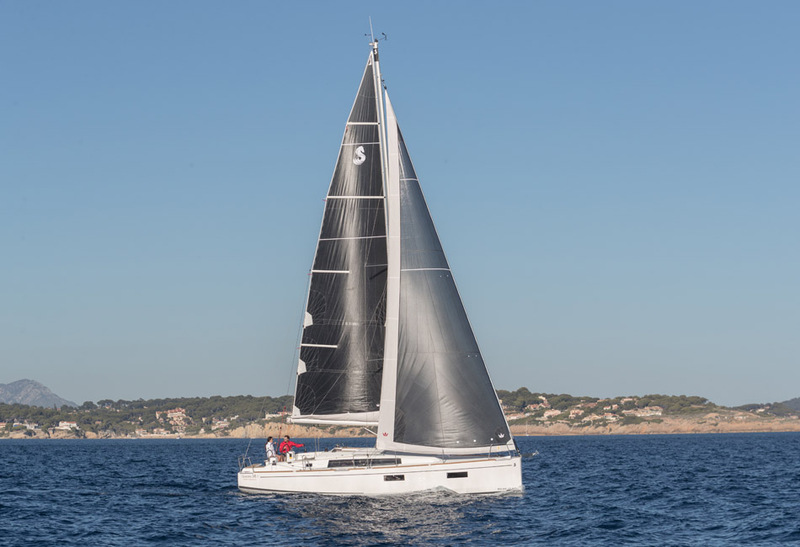 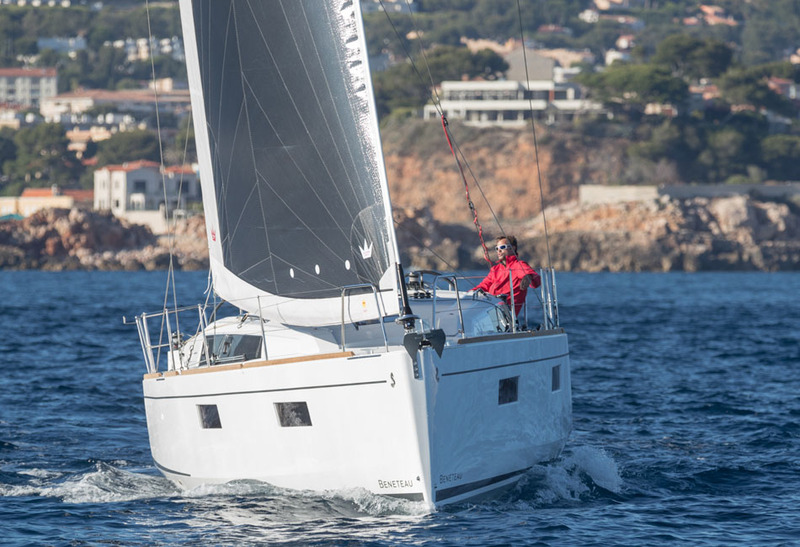 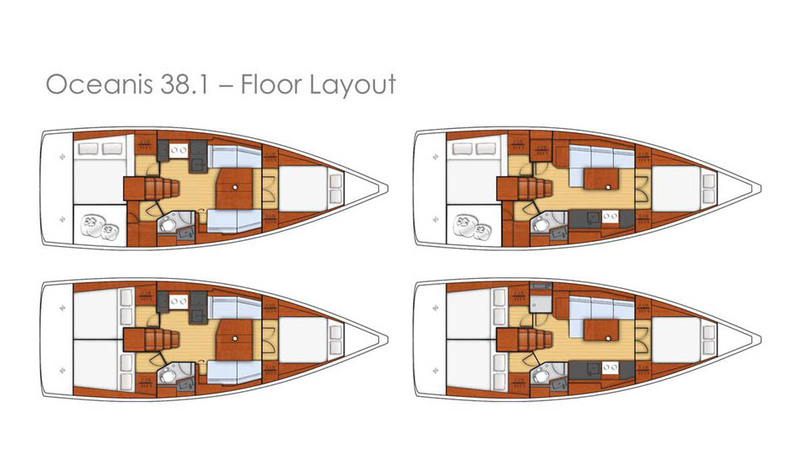 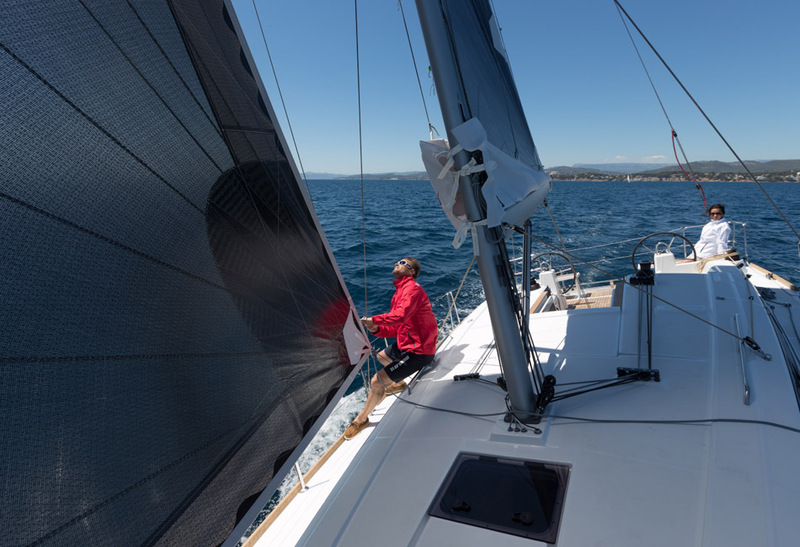 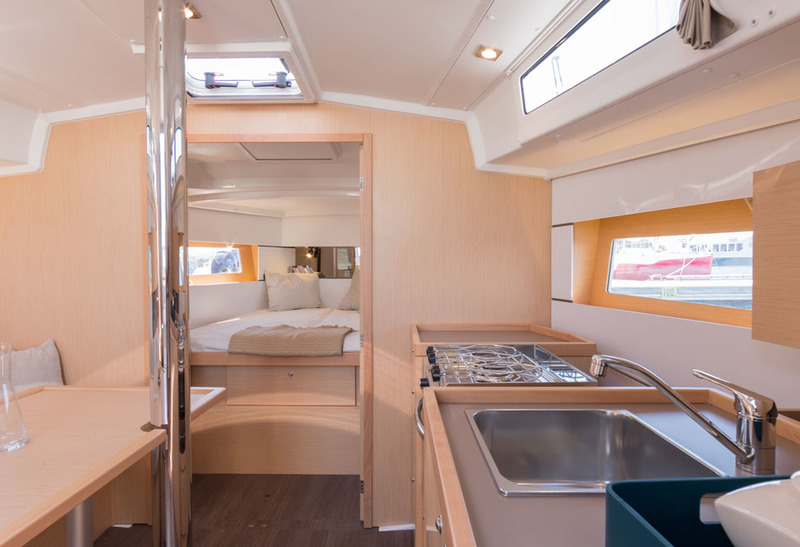 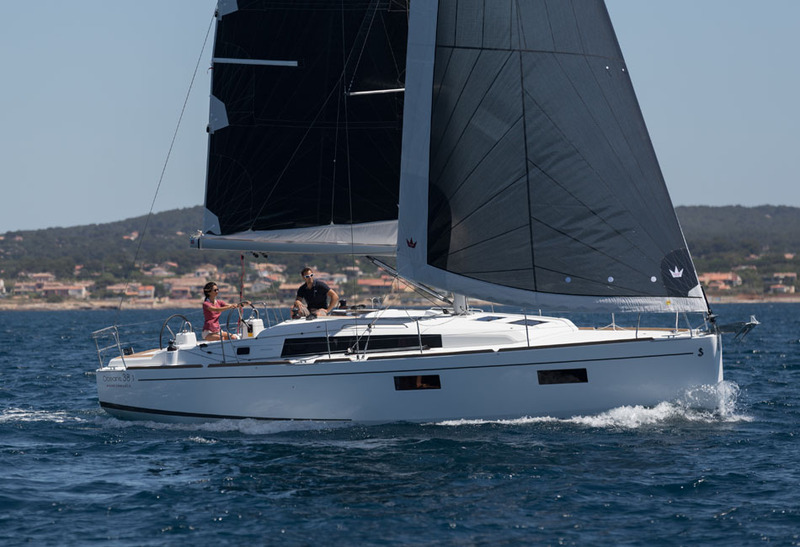 The Oceanis 38.1 is optimized with a new L-shaped galley for a facing seat saloon.